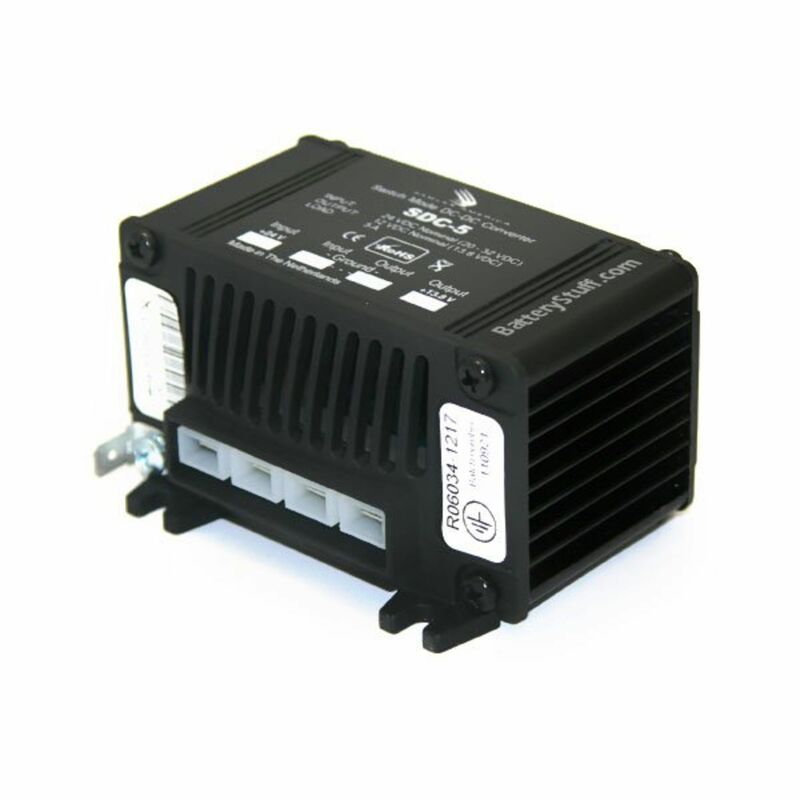 This high efficiency switch-mode step-down DC-DC converter converts an input voltage of 24 VDC nominal (range 20 VDC to 35 VDC) to a highly regulated output voltage of 12 VDC nominal (13.8 VDC) at 5 Amps. The SDC-05 DC-DC converter is non-isolated (no galvanic isolation between input and output) and meant for use in negative ground systems. 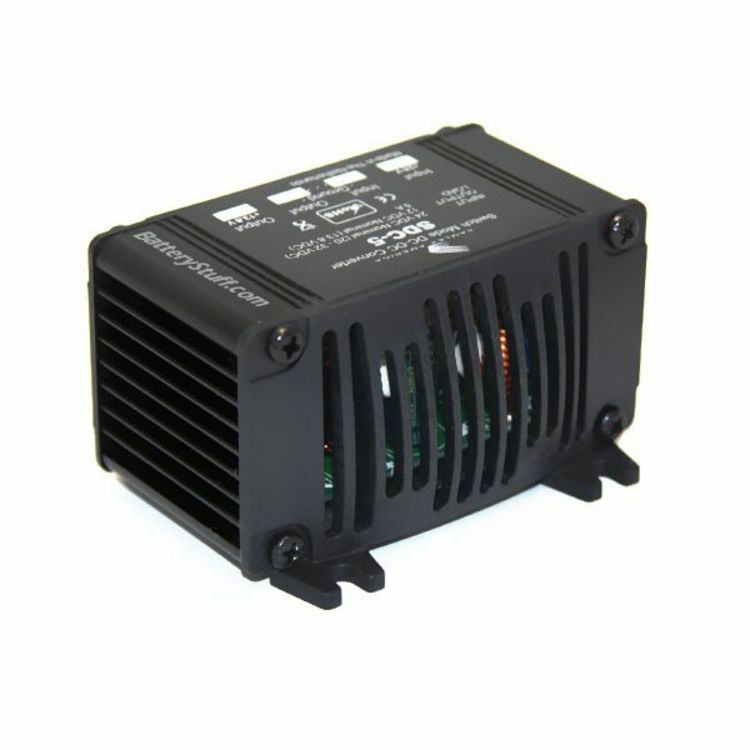 Features include overload, over-heating, reverse polarity and over-voltage protection. 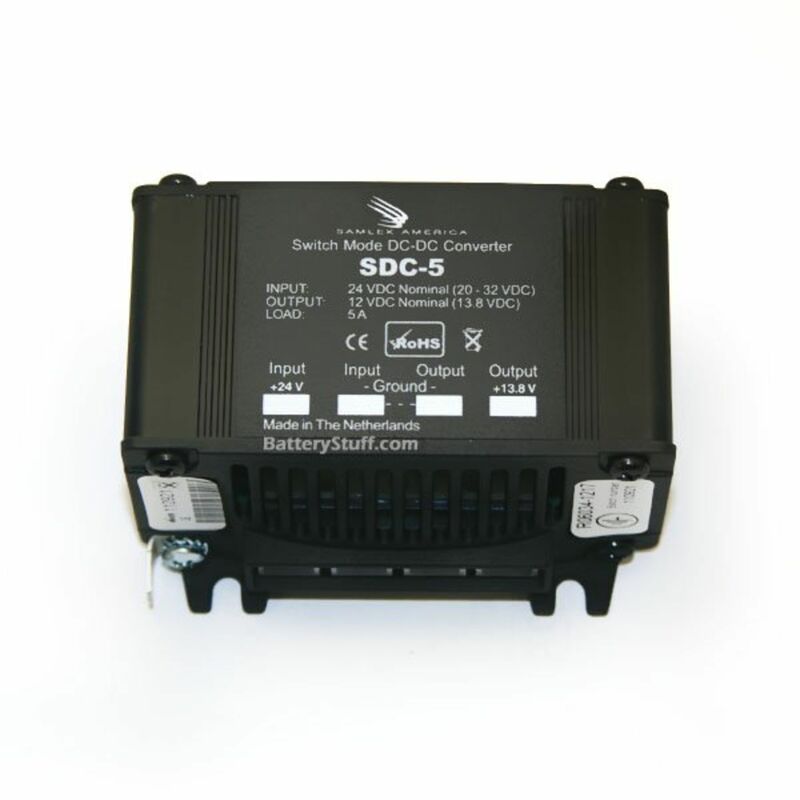 Do you own the SDC-5? Please, tell us what you think about it. It helps us provide you with better products. Please note that it may take up to 72 hours for your review to appear.